This grey slogan crop top designed by our girl Sarah Ashcroft is guaranteed to score you double style points this season. 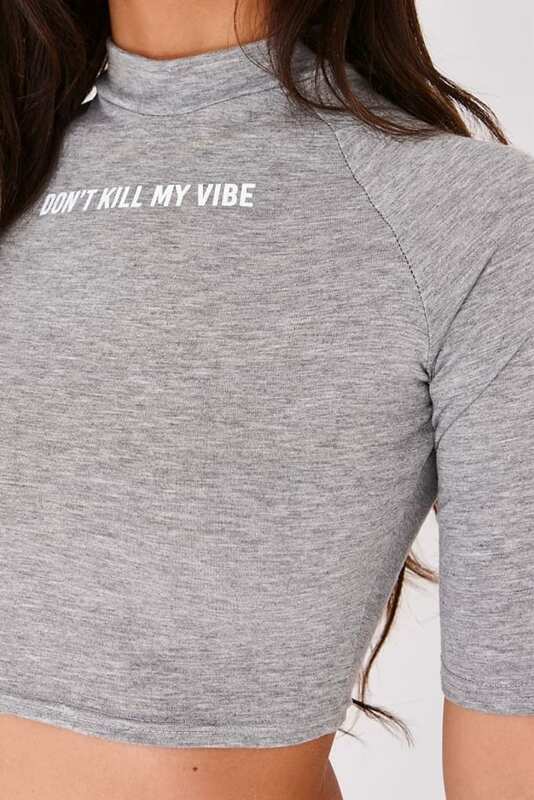 In a sassy cropped style featuring 'DONT KILL MY VIBE' slogan, we are totes crushing over this one! Wear with joggers and heeled boots for the ultimate finishing look!